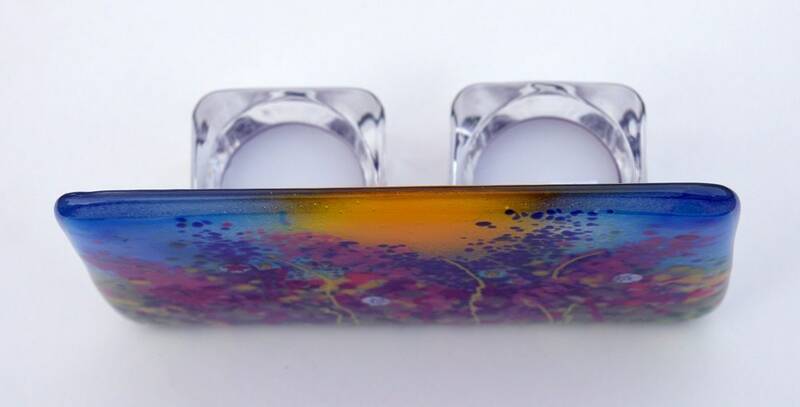 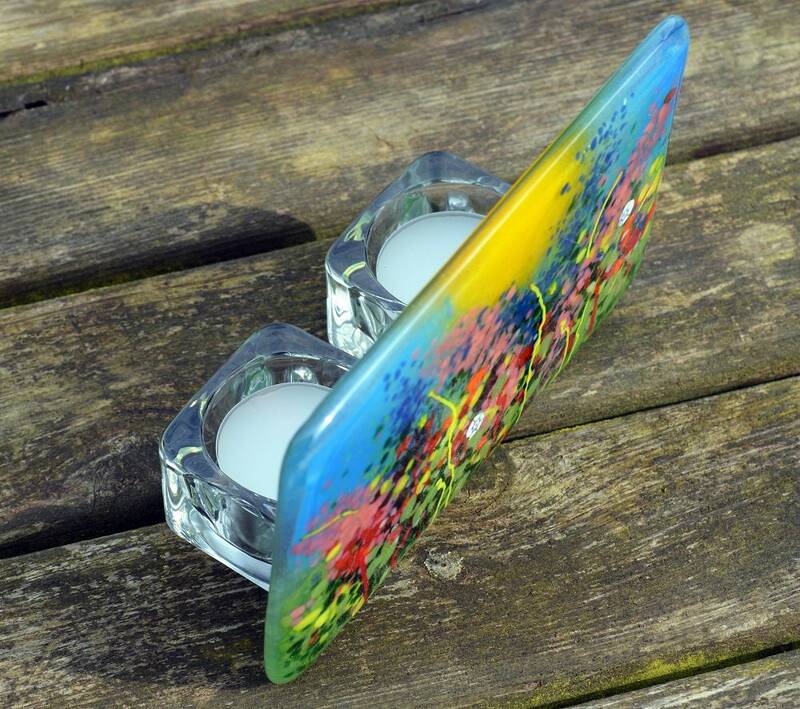 Semi opaque fused glass panel with double tealight fixings. 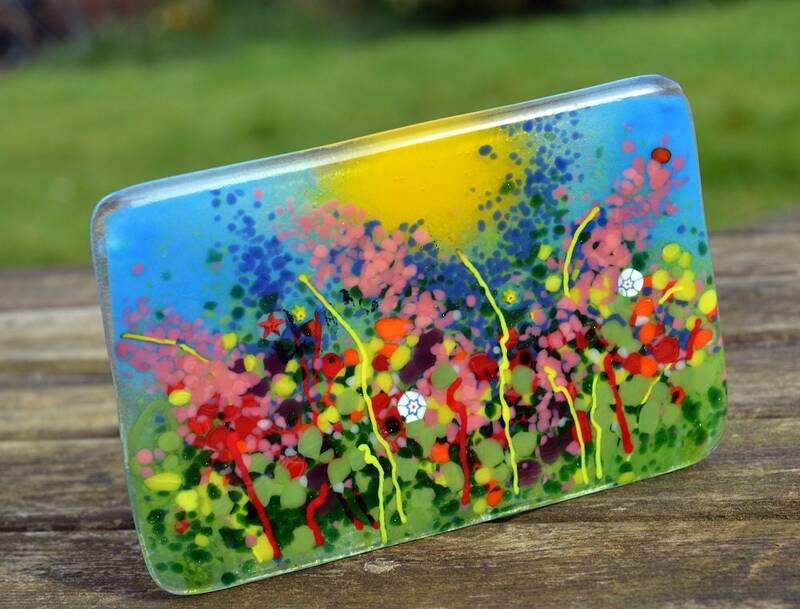 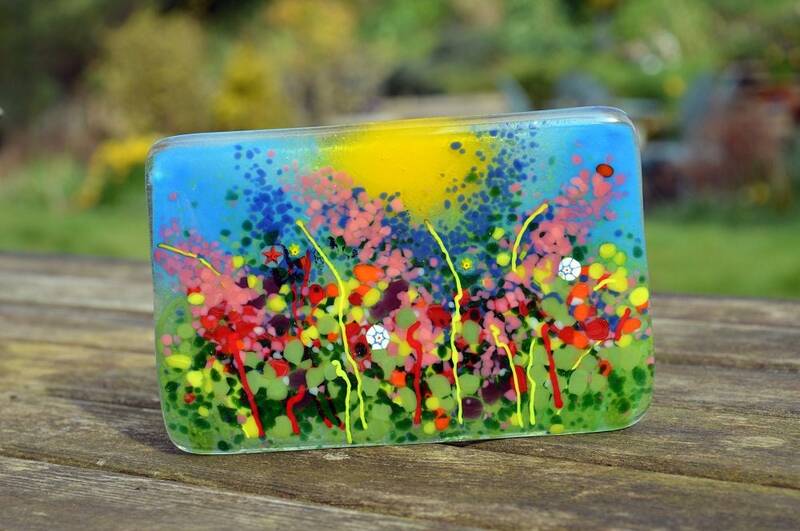 The floral scene measures approx 16 x 10 cm and was made by fusing two pieces of glass together in a kiln with various colours of crushed glass and glass rods. 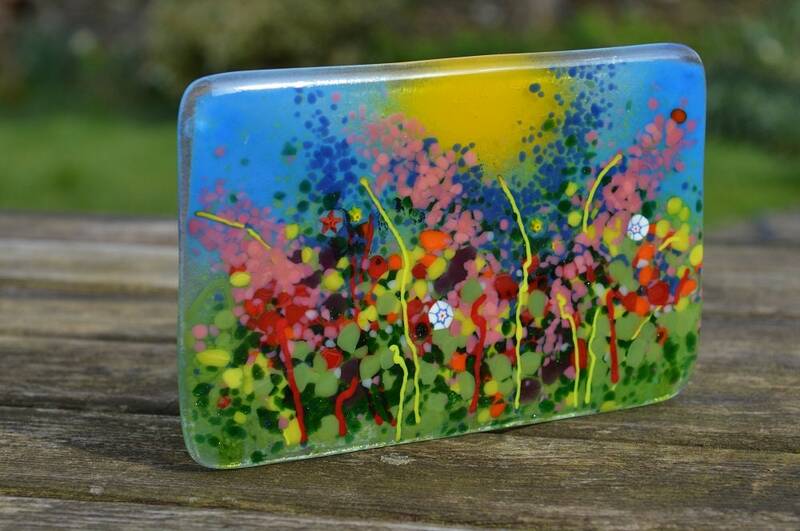 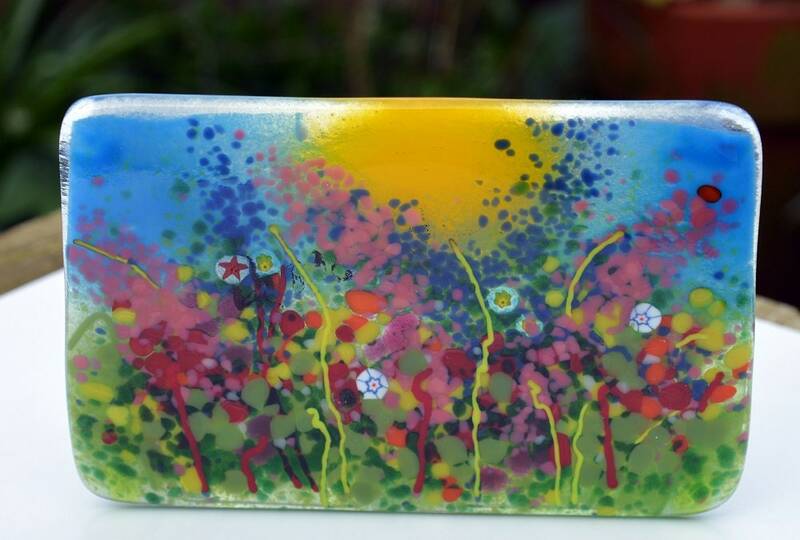 A very cheery piece to brighten up any room. 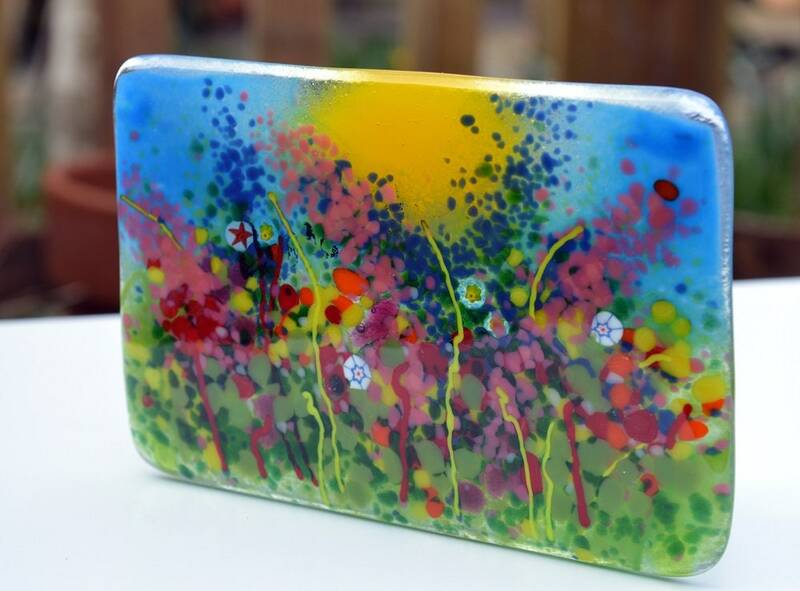 Handmade in my small home studio so one of a kind.